From a single store in Aberdeen, Scotland, the brothers James and John Chivas built a reputation as consumate blenders of fine Scotch Whisky, and a brand that still sets the standard of excellence for distilled spirits. 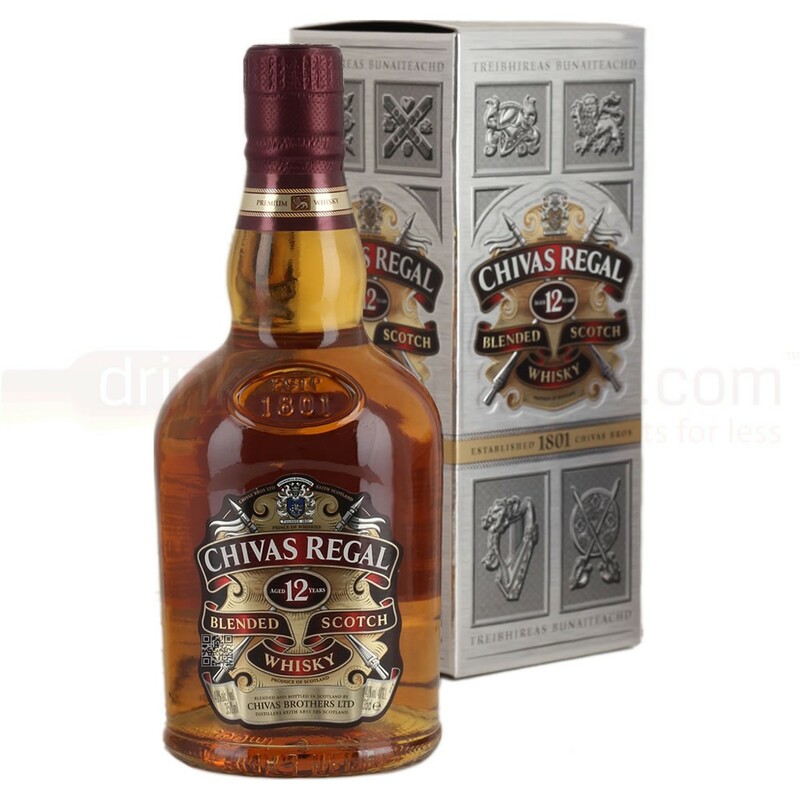 Distinguished by its light, lingering aroma, full, smooth palate and balanced flavour with a hint of smoke, Chivas Regal is a Scotch of subtle and complex character. From its origins at Strathisla - the oldest operating distillery in The Highlands - this blend of the finest malt and mature grain whiskies deserves the accolade 'Scotland's Prince of Whiskies'.